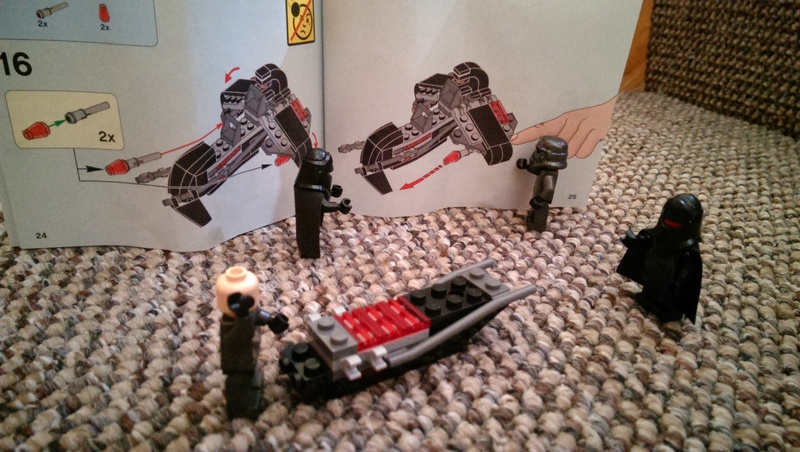 Star Wars: LEGO: Shadow Troopers Set Review! 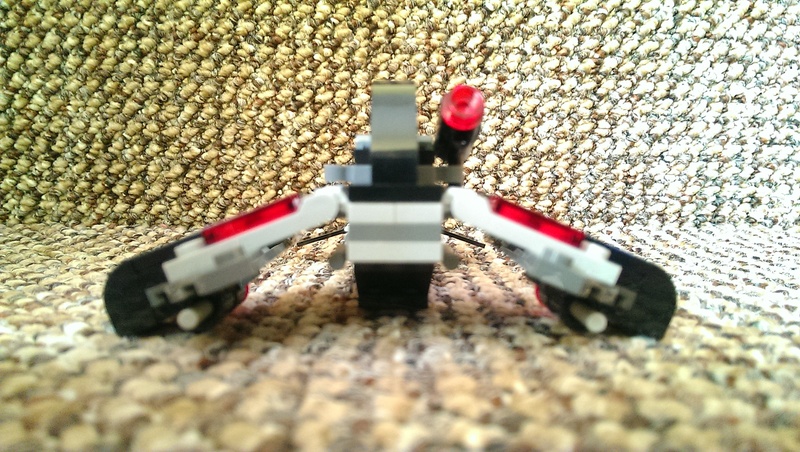 It’s Star Wars Day people, and I’ve got two LEGO reviews to bring to you today. 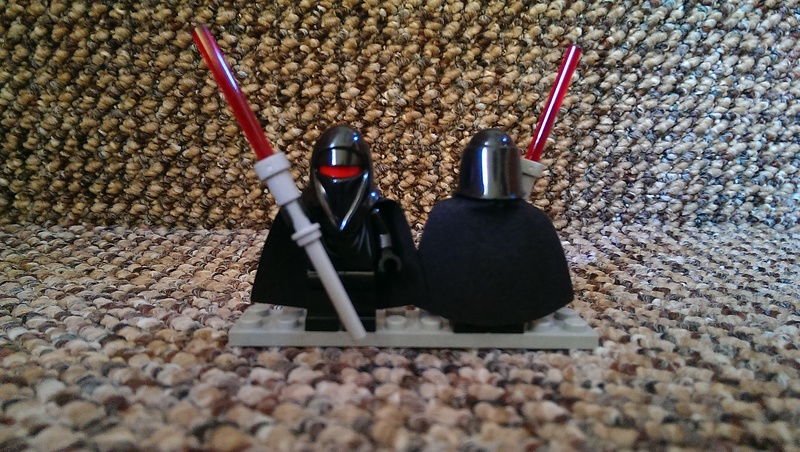 The first of these two sets being the smaller one, the LEGO Star Wars Shadow Trooper set–so much Imperial goodness right here! 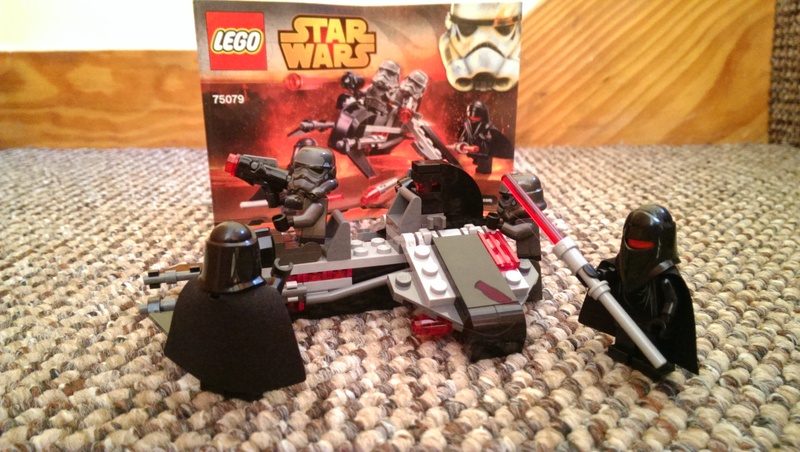 This great little battle pack comes with four minifigures (two shadow guards and two shadow troopers). Both the shadow guards come with lightsaber pikes very reminiscent of the Jedi temple guards’ weapons from The Clone Wars but in red. These two guards also come with no face, their head-piece is all red and acts as a visor when the head-piece is covered by the helmet; their cloak is a fabric material which you attach when assembling the figures. 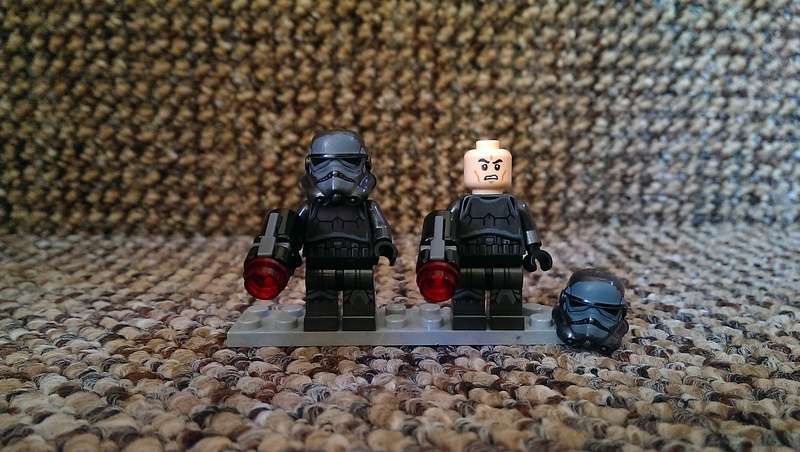 The shadow troopers are the exact same sculpt and design as the Stormtrooper minifigure, however they come in the shadowy chrome colour scheme. They come with flick missile blasters and removable helmets. Both of the chrome Stormtroopers have the same facial expressions and only have one-sided head pieces. Now onto the shadow speeder, which comes with space to seat two, one behind the other. The wings on the speeder move up and down to your specification and on the underside of the wings there is a flick missile. At the back of the speeder you will find two small holders that you can put the Stormtroopers’ blasters into when they are piloting the speeder. I really like this set. I am partial to battle packs as they are great for building armies and collecting multiple minifigures. 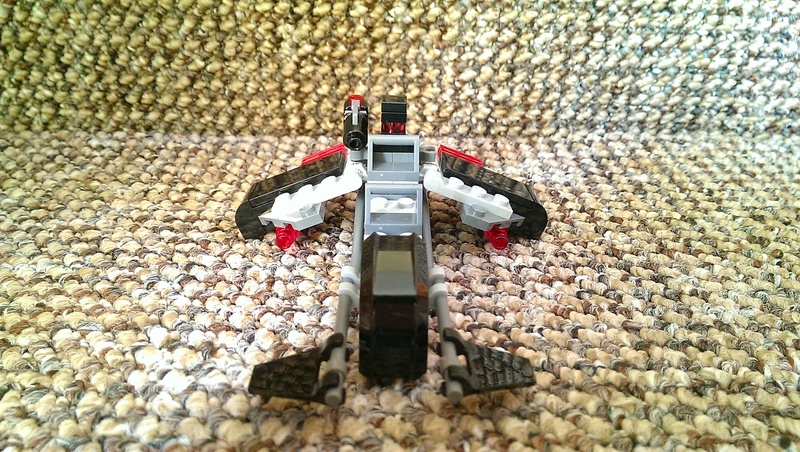 The small speeder has some cool playability features such as flick missile launchers under each wing, and the ability to move the wings up and down. The highlight of this set though is most definitely the minifigures–they look really good and have amazing detail and printing. 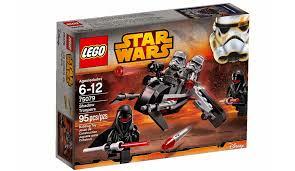 I recommend this set to any LEGO Star Wars collector or Imperial fan for that matter, with some brilliant minifigures and a cool little speeder. Originally priced at £12.00, if you head over to the online LEGO store, you can pick it up for £10.79! Check back later for another LEGO Star Wars review!